Hello! Welcome to the next stop on the Love à la Mode blog tour hosted by Rockstar Book Tours. I'm really happy to share my thoughts on this book with you! Rosie Radeke firmly believes that happiness can be found at the bottom of a mixing bowl. But she never expected that she, a random nobody from East Liberty, Ohio, would be accepted to celebrity chef Denis Laurent's school in Paris, the most prestigious cooking program for teens in the entire world. Life in Paris, however, isn't all cream puffs and crepes. Faced with a challenging curriculum and a nightmare professor, Rosie begins to doubt her dishes. Henry Yi grew up in his dad's restaurant in Chicago, and his lifelong love affair with food landed him a coveted spot in Chef Laurent's school. He quickly connects with Rosie, but academic pressure from home and his jealousy over Rosie's growing friendship with gorgeous bad-boy baker Bodie Tal makes Henry lash out and push his dream girl away. I received a copy from the publisher in exchange for an honest review. My thoughts and opinions are my own. 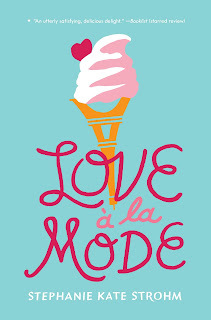 Love à la Mode was a lovely book that I enjoyed from start to finish! It was a book I thought about even when I wasn't reading it, and one I looked forward to sitting down with every day. There was just something about Rosie and Henry that made me want to see their story through to the end, and I couldn't flip the pages fast enough! The two clicked from the beginning, and it was fun watching them explore a new city, a new school, and new feelings. I absolutely adored the setting! 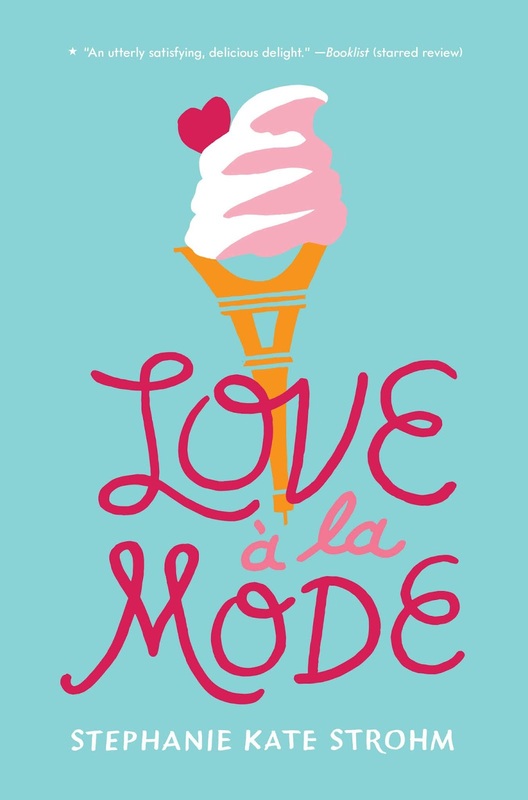 Love à la Mode takes place at a culinary boarding school in Paris! It had an Anna and the French Kiss vibe, but the stories were completely different. For one thing, the author described the city's food more than the city itself, and I'm pretty sure I openly drooled a few times. This book made me unbelievably hungry, so have a snack nearby when you read this! The characters were fantastic! I think their individual personalities really complemented the group as a whole, and I liked that everything was easy and uncomplicated. Yumi was bold and always said what she was thinking, Marquis was fun to be around and added humor to their conversations, and Priya was an amazing friend from the start. Hampus might be my favorite character ever! He's an all-around wonderful person, and he's willing to go out of his way to help others. I especially liked his foraging through Paris. Rosie was sweet, blushed more than she didn't, and was incredibly down-to-earth and relatable. Henry was Henry! He loved food and was always there to encourage others. If someone was feeling bad after a class, he was quick to offer kind words and a laugh. They really did have a great group dynamic! Unfortunately, they're still in high school, so there is some drama throughout the story. Clara was just a miserable person, and misery loves company. She wanted everyone to think she was perfect, but it was easy to spot her insecurities. I thought the text messages between Rosie and Ricky were hilarious! His random questions always made me smile, and some of them were pretty ridiculous (like subbing jam for blueberries). It was obvious her brothers had relied on her to do most of the cooking, and now they're having to get by on their own. At one point Ricky didn't know where the bowls were, so he decided to just use a random bucket he'd found. When Rosie asked him if he'd washed the bucket first, he declined to answer. The romance was subtle and sweet, though I would have liked a little more communication between Rosie and Henry. I feel like they lost a lot of time together for ridiculous reasons, and they would often perceive conversations and actions the wrong way. We know what's really going on, because we're in their heads, but I wish they had shared their thoughts with each other sooner rather than later. Overall, this was a delectable read that I plan on re-reading in the future! The characters, setting, story -- all amazing! It was my first book by this author, but I believe she's written others. If they're anything like this one, I'll definitely check them out! 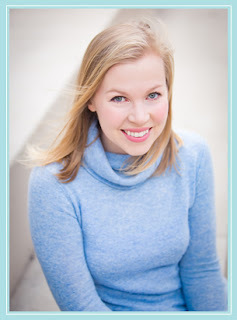 Stephanie Kate Strohm is the author of It's Not Me, It's You; The Taming of the Drew; Pilgrims Don't Wear Pink; Confederates Don't Wear Couture and the upcoming The Date to Save and Prince in Disguise (Fall 2017). She grew up on the Connecticut coast, where a steady diet of Little House on the Prairie turned her into a history nerd at an early age. After graduating with a joint major in theater and history from Middlebury College, she acted her way around the country, performing in more than 25 states. 3 winners will win a signed finished copy of LOVE A LA MODE, US Only. I am so excited for this one. Love that I keep seeing it has Anna and the French Kiss vibes. Great review! I haven't tried this author yet either but you are definitely making me want to! That's great that you had such a great time! The setting and the food was done so well in this book. And I agree, Rosie and Henry was great characters. I fact, I loved their whole squad. I loved Prince in Disguise, and I have been eagerly awaiting this book! What a cute cover. So glad you enjoyed this one! I love it when I find a book that I really enjoy. Okay, definitely need to read this!! 2018 End of the Year Giveaway!